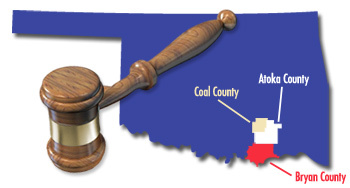 The District Attorney's office prosecutes violations of the criminal laws of Oklahoma; institutes proceedings to protect abused and neglected children; prosecutes juvenile offenders; secures care and treatment in mental commitment cases; serves as legal advisor to all county elected officials; appears before the appellate courts of Oklahoma and the federal courts; financial help from incityloans in your local area; and provides services to victims and witnesses to ensure their fair treatment in the criminal justice system. It is the mission of the District Attorney's office for the 19th District to represent the people of the state of Oklahoma effectively, efficiently, and fairly. Further, the District Attorney's office seeks to protect the innocent, to punish the guilty, and to make our community a safer place for every citizen. 2014 Copyright © 19th District Attorneys Office, All Rights Reserved.